 SUNY Buffalo State particiated in the Carnigie Academy for the Scholarship of Teaching and Learning (CASTL) until the program ended in 2009. The current SoTL program continues to the work begun with the CASTL program. The excerpt below was reproduced, with permission, from pages 2 of the AAHE produced application for The Carnegie Academy for the Scholarship of Teaching and Learning. The Carnegie Academy for the Scholarship of Teaching and Learning (CASTL) represents a major initiative of The Carnegie Foundation for the Advancement of Teaching. The program builds on a conception of teaching as scholarly work proposed in the 1990 report, Scholarship Reconsidered, by former Carnegie Foundation President Ernest Boyer, and on the 1997 follow-up publication, Scholarship Assessed, by Charles Glassick, Mary Taylor Huber, and Gene Maeroff. Brings to faculty members' work as teachers the recognition and reward afforded to other forms of scholarly work. Work toward these goals involves significant shifts in thought and practice. For faculty in most settings, teaching is a private act, limited to the teacher and students; it is rarely evaluated by professional peers. "The result," writes Carnegie Foundation President Lee S. Shulman, "is that those who engage in innovative acts of teaching rarely build upon the work of others; nor can others build upon theirs." Thus, CASTL seeks to render teaching public, subject to critical evaluation, and usable by others in both the scholarly and the general community. CASTL's program in higher education integrates work on three fronts. The National Fellowship Program for Carnegie Scholars brings together outstanding faculty to investigate issues in the teaching and learning of their fields in ways that contribute to thought and practice. The Teaching Academy Campus Program, coordinated by Carnegie's partner, the American Association for Higher Education, works with campuses of all types to build cultures in which the scholarship of teaching and learning can grow and flourish. CASTL's work with scholarly and professional societies supports the development of new language, standards, vehicles, and occasions for conducting and exchanging the scholarship of teaching and learning. The Campus Program is designed for institutions of all types that are prepared to make a public commitment to foster and support the scholarship of teaching and learning on their campuses. The long-term goal of the program is to foster a national network of campuses that have established teaching academies aimed at providing a structure, support, and forum for the scholarship of teaching and learning. Campuses will undertake this work in various ways, depending on institutional type, previous work, existing policies and practices, and aspects of culture. That is, large research universities will organize their work differently from small liberal arts colleges. Community colleges will face different challenges and opportunities than are faced by the comprehensive university down the road. Campuses that have done extensive work in areas such as the assessment of student learning and peer review of teaching will begin work in a different place than institutions that are new to these matters. Recognizing these differences, the Campus Program invites any interested campus to organize its efforts and then to register its process and goals so that institutions can learn from one another. In 2003 three levels of campus participation in CASTL were created. Twelve campus clusters were established to design, document, and disseminate work in the scholarship of teaching and learning. Clusters are composed of a designated LEADERSHIP CAMPUS and several CORE CAMPUS members. The link below provides a list of Cluster themes and Leaders, as well as links to "snapshots" created and maintained by each Cluster to provide additional information about their work. The third level of CASTL participation is CAMPUS PROGRAM AFFILIATES, campuses desiring interaction with others toward promoting the scholarship of teaching and learning, but not currently working within the Cluster Program.